Saul Steinberg wrote: “Baseball is an allegorical play about America, a poetic, complex, and subtle play of courage, fear, good luck, mistakes, patience about fate, and sober self-esteem.” This is something about the American character that President Donald Trump does not seem to understand, these are not qualities that he shares. 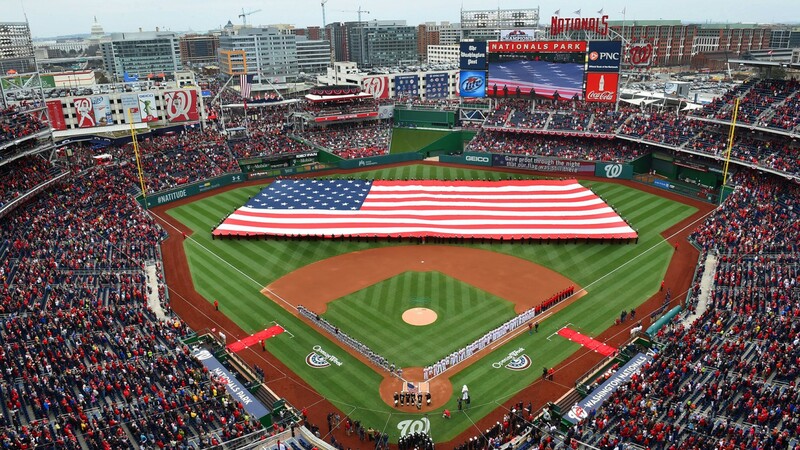 In a rare move for a new President, Trump refused an invitation to throw out the ceremonial first pitch at the Washington National’s Opening Day celebration. Bush understood that this was much more than a game, it was a national symbol, it was something that had to be done where it was done. Billy Crystal recalled “This is a moment. Your politics go away. Here’s the president of the United States, handed this awful baton to run with and he stood up and basically said f— you.” For those watching all over the country and the world it was an electric moment. 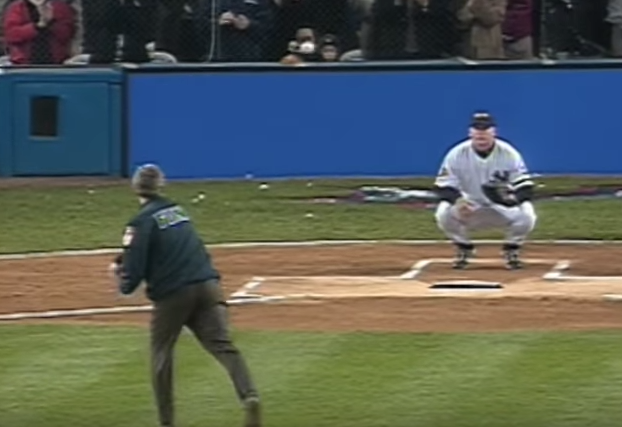 One can criticize President Bush for many things but not this, that pitch helped the country begin to heal more than any military strike, more than any speech, because it reached back to the virtues of the game that are so enmeshed with the character and the ideals of America. But since President Trump can’t even show up for the first pitch on opening day, I doubt if he has the capacity to ever inspire anyone in this country to higher ideals and higher. He seems to me more like more like a unscrupulous baseball owner more interested in parting out the team and destroying the franchise to make a short term profit all the while building a garish new stadium to satisfy his need with other people’s money, kind of like the late Margaret Whitton who played the owner of the Cleveland Indians in Major League. I for one am glad that Trump chose not to attend opening day. One of the sad facts we face is the politicization of sports in America at both the college and professional levels. Sports once united our country, but is now another force promoting political polarization. One should be able to attend a sporting event without seeing a political figure or protest. But he had no trouble jumping in the broadcast booth at the Army-Navy Game. The first pitch has never been about politics, it was all about respecting the institution. Something Trump doesn’t do in any aspect of the Presidency. I can handle the fact that he seems to have no self-respect, but he has no respect for any of our country’s institutions or traditions. That is what bothers me. Of course trump declined. He has no balls.